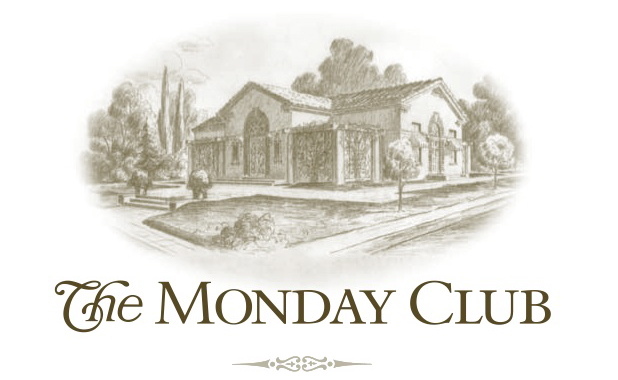 The Monday Club SLO - Sip, Sample and Swing! 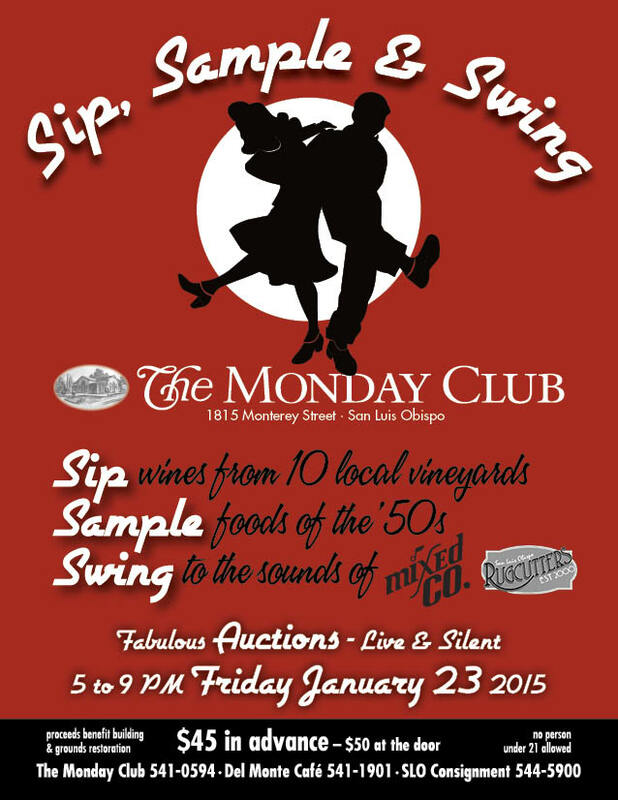 End your work week at The Monday Club of San Luis Obispo for the Fourth Annual Sip, Sample and Swing! Sip award winning local wines and sample delicious central coast food while listening and dancing to the fabulous sounds of Mixed CO. They are the Central Coast's own trio reminiscent of The Andrews Sisters. Bring your swing dance skills to the floor and learn from The SLO Rugcutters. Peruse and bid on fabulous silent auction items. Keep posted to this page for samples of some of our fabulous auction items! Wineries participating will be announced soon. You can purchase tickets online at Brown Paper Tickets or go to SLO Consignment at 181 Tank Farm Rd., Suite 110 or Del Monte Cafe, 1901 Santa Barbara St. - both in San Luis Obispo!